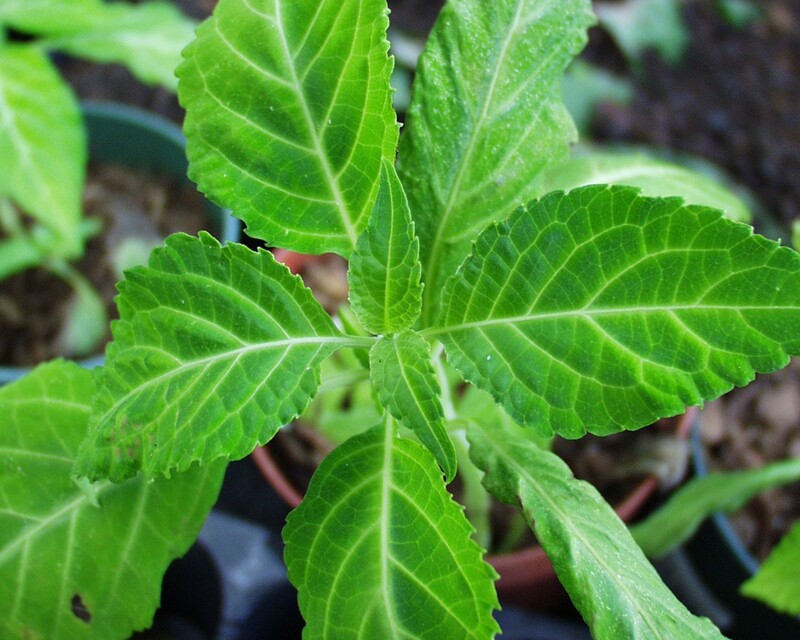 Used widely by Mexican shamans as an ally in experiencing higher realms, salvia divinorum (S. divinorum) is a member of the Lamiaceae family and is native to Oaxaca, Mexico. The plant is propagated, but no wild specimens were observed by researchers. Its chemical component that causes hallucinogenic effects is its ‘diterpene salvinorin A.’ Called by the names hojas de Maria (leaves of Mary), Maria Pastora (the Shepherdess, the herb of Mary) or yerba Maria (herb of Mary), S. divinorum is fairly easy to grow and harvest, making it accessible anytime. For mode of use, the fresh leaves of Diviner’s Sage, another name for S. divinorum, are rolled into a ‘quid’ which is chewed or sucked while keeping its juice in the mouth for increasing absorption rate of its active ingredient. Otherwise, some people ground its fresh foliage of about six leaves on a milling stone, while some crush it for making a drink. Its effects can manifest in 10 minutes and last for about an hour. Today, S. divinorum is also used for recreational purposes, and one way is through smoking the dried leaves, usually from 0.25 to 0.75 gram, from a water bong or a pipe. After which, a smoker can experience 15-20 minutes of hallucinations within a minute of smoking. However, inhalation is said to pose high risk because amount of salvinorin A cannot be controlled that might lead to an overdose (psychotic disturbances). It effects are incomparable to other drugs or psychoactive substances, but can be light (at low to moderate doses) and intense (at higher doses). Some reported effects are loss of physical coordination, visual alterations, feeling of being underwater or underground, viewing shapes and patterns (snake-like, tube-like…). While the herb is marketed as a legal marijuana or cannabis substitute, its effects aren’t like what such gives and that Salvia divinorum isn’t a ‘party drug.’ Instead, it is used for contemplation and meditation, thus, selecting a quiet, isolated place is often considered. Duration of effects depend on the method of consumption and amount consumed. Its effects kick in quickly within 5-20 minutes, but begin to subside afterwards. A notable trip report from Anonymous at EROWID “Switching realities: Salvia divinorum” narrated how S. divinorum had affected his visions and that he noticed that it spun out his control, leading him into a tunnel. That experience made him nervous especially while he was reaching for the light. While Salvia is generally safe, proper (and intelligent) use is advised. One, never use it with the presence (or within accessibility) of guns, knives and other weapons. Never drive while under its influence or take it in public or at work. See the complete risk reduction tips here. Do you have an interesting trip report on S. divinorum to share with our community? Register and post a review today!